Since my very first call on my iPhone 4, I’ve been having issues with the proximity sensor apparently not functioning properly, resulting in inadvertently switching my call to speaker and mute from my face touching the screen and noticing that the screen was still illuminated. What's the deal? We’re seeing reports in our inbox and around the Internet that the iPhone 4’s proxy sensor is getting stuck (to use the technical term). The iPhone has had a proximity sensor since the first generation, which is used primarily to detect when you hold the device up to your face to make a phone call. When your iPhone gets close to your face, the sensor turns off the display so your cheek doesn’t accidentally end the call or turn on the speakerphone. Pull the iPhone away, and the sensor signals the all clear for turning the display on so you can get back to that game. 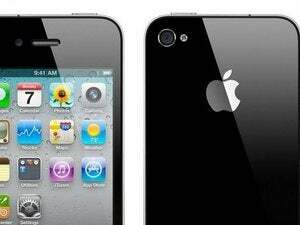 On the iPhone 4, however, some users are reporting that the proximity sensor is getting stuck in one mode or another. Either it’s not turning the display off when an iPhone is held up to the user’s head (resulting in aforementioned cheeky accidents), or it does turn the display off but fails to re-enable it once the iPhone is pulled away. In the latter cases, the user is often left with a black display, unresponsive to touch input for ending the call or switching to another app. A misfiring proximity sensor is indeed annoying, but after a little digging, I don’t think it’s nearly as large of a potential issue at the antenna problem is for some users. Apple has not yet replied to Macworld’s request for comment on this issue, but I think it might be fairly easy to fix, or at least work around until Apple can properly address it. For starters, only some iPhone 4 owners are able to reproduce the problem—none of us on the Macworld staff are experiencing it, and an unscientific Twitter poll found that plenty of other happy owners aren’t either. (Our colleagues at PCWorld weren’t so lucky.) This strongly suggests that it is not a widespread hardware or design problem, but perhaps a small defect typical of mass production, or better yet: just a software problem. Many affected users report that either a Settings reset or a hard reboot fixes their problem. One Apple support thread recommends that users open the Settings app, then go to General -> Reset, and choose “All Settings” at the top (note: this will not erase your apps, media, or other data—that’s what the “Erase All Content and Settings” button just below this option is for. “Reset All Settings” just reverts any Settings preferences you’ve customized back to their factory defaults). One Twitter follower, Brian Partridge, reported that AppleCare told him to just use Reset -> Reset Network Settings, not all settings, and it worked. Another option to try and jump-start the proximity sensor again is to do a soft or hard reboot. A soft reboot is simply holding the power button until the red power slider appears, then sliding it to actually power down the phone. Once it’s done, hit the power button again to restart it. This is a little more gentle on your apps than a hard reboot since it gives the OS time to organize everything before powering down. A hard reboot is like holding the power button on your Mac or yanking its power cable—you kill the OS and all running software and force an immediate reboot. To do this, hold the power and home buttons until you see the display go dark and Apple’s logo appears. If our hunch is right, and this is just a software bug, Apple will surely address it in a free update. In the meantime, let us know what your experience is and if you hear about any other solutions (or even causes) of the problem.